I have a friend who makes jam. Strawberry jam, to be exact. It’s amazing, too — definitely the best jam I’ve ever had in my life. I asked her one time why she goes through all the effort of making her own jam, and her answer was pretty simple. People like it, and her husband loves it. She makes giant batches and gives small jars away to anyone who comes to her house. Friends, family, and neighbors who happen to end up with a jar are simply blessed, though, by her love for her husband. Making jam is a lot of work. It’s also kind of expensive. It has to be a labor of love, and in this case, it is. Her husband loves her jam, so my friend makes jam. She might be on to something, too. She and her husband have been married for over fifty years now. Neither of them is perfect. They don’t always agree. Sometimes they clash, and sometimes those clashes get a little heated. At the end of the day, though, they can always break bread and have some jam. Isn’t that a beautiful picture of love? I’m not perfect. My husband isn’t, either. We disagree now and then, and sometimes we do a fabulous job of irritating each other. At the end of the day, though, we have… Okay, we don’t have jam. But we do have Oreos. He likes the inside. I like the outside. We’re a perfect match. Eons ago — or at least what feels like eons — I started praying for and about the man I was going to marry someday. I don’t remember all of those prayers, but I remember specifically telling God on more than one occasion that I didn’t need a perfect man. I just needed the man who was perfect for me, and I was trusting in Him to know who that was. Here we are, twenty-plus years later. We’ve had good days and bad days. We’ve had more laugh-out-loud moments than I can count. We’ve also had moments that felt like we were on some sort of crazy psychedelic corkscrew roller coaster. At the end of the day, though, we have Oreos, and sometimes an Oreo is exactly the right way to say I love you. What do you do – whether it’s a romantic relationship or otherwise – to show the special people in your life that you love them despite the differences you may have had on any particular day? I would cook his favorite meal and that would bring a smile to his face all the time. Hi Heather, how lovely:) My husband massages my feet, and I ensure that the kitchen is cleaned- sounds crazy, but it works!! I can get on board with a food massage! ^_^ How lovely that you both know exactly how to show your love for one another! Hi Heather! This morning blog made me hungry and longing for spring and fresh strawberries. 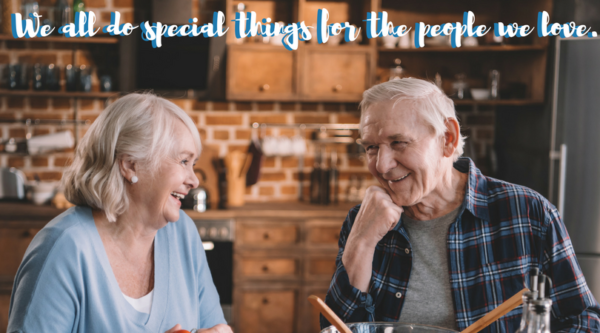 I love to show the special people in my life that I love them by surprising them with their favorite treats – hubby enjoys pineapple sweet rolls or blueberry pancakes, son #1 enjoys Reese’s peanut butter cups, son #2 likes oatmeal cookies, grandson #1 loves breakfast pizza, and granddaughter #1 favorite is mac and cheese. 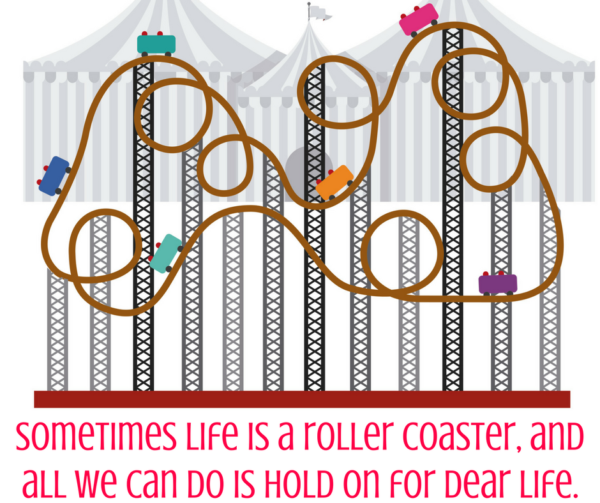 Food is definitely comforting when life is a roller coaster. Happy Easter and Best wishes. This is a great post! I love the idea of giving little homemade treats to everyone who visits. I don’t know what I do, but one of the things my husband does is always eat the end pieces of our bread. He knows I don’t care for them so he always tries to eat them. Fun post! I love to make strawberry jam, but making raspberry/rhubarb is my favorite! It’s hard to answer about what we do for each other to show our love, because there are too many of them. We pretty much like the same things, and are both middle children, and easy to please. Now that he’s retired, he helps more with the dishes, and sometimes does the cooking himself. The main thing we do to show our love for each other is to spend time with each other. Favorites are always good! My husband’s favorite dessert is – of course – Oreos. ^_^ Occasionally he’ll ask me to make cheesecake or something like that, but he would be happy as a clam (assuming clams are happy) if I got him Oreos every single week. I love this story of the strawberry jam. So glad you could join us Amy! I love that you specifically told God you didn’t need a perfect man, just the perfect man for you. I’m not married and this is a good reminder for me that someone who seems perfect may not be perfect for me and that I should keep waiting for the man God has for me. God’s choice for us is always best – even when that choice feels lonely. Hugs!! Relationships are such a blessing! They bring out the best and the worst in us – hopefully so we can work on the worst parts and celebrate the best parts. I was talking to a friend recently, and we were discussing how marriage is one of those refining fires that God uses to show us our own faults and to sanctify us. Hugs. Two particular daughters and I clash quite a bit….but a hug always resolves our differences and helps us keep the peace.